I just swoon over the rustic feel of ranch style homes. 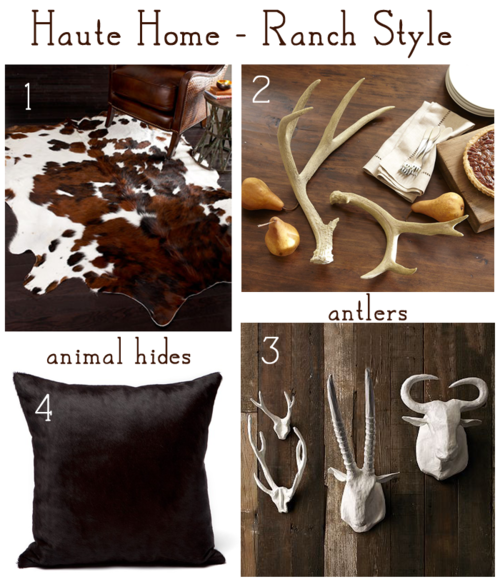 The luscious furs and animal hides, the rugged mounted antlers and textures of rough woods and other rich fabrics. Not a fan of hunting or real fur? Not a problem. With a plethora of faux furs available these days, you can bring the same experience into your animal-friendly home. Here are a few of my favorite ranch basics!